Over the past month I have conducted workshops with the great kids at Richlands East State School. I was assisted by Gloria, a parent and the students to complete the mural titled In Control. The theme was based on ‘Respectful, Resilience and Responsibility” with an analogy based on life’s great journey. 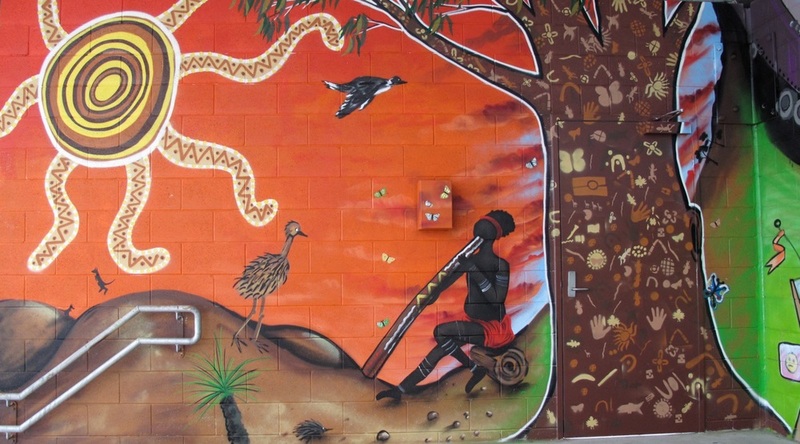 I was especially lucky with this mural as I was assisted by the school’s Indigenous Student Council to design and apply the indigenous content of the artwork. I had a great time and I can’t wait to work with the school again.